It is very important to find an accommodation that allows you to have access to important public and private means of transport. Thus, you can visit whatever touristic objectives you feel like, on any day of the week. If you are running on a tight budget, it is very hard to find a central hotel. The Ibis branch of accommodations has been created with this idea in mind, of providing modern, yet economic quotes, suitable for any traveller. 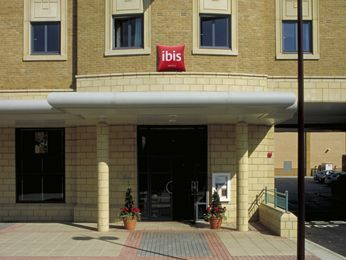 For example, you can choose ibis London Stratford that is located nearby the Stratford stations. The meals are delicious, the interior design is attractive and the facilities are perfect for families, as well as solo visitors. There are more than 100 rooms you can choose from. However, we would recommend that you book in advance, online, as this hotel is quite popular among tourists. In order to get a Luton to ibis London Stratford Transfer by rail there are several options. First of all, you can take a bus from Luton Airport Bus Station (line 888 – every 10 minutes), followed by a train from Luton Airport Parkway (every 15 minutes) via West Hampstead (every 10 minutes). This journey lasts about 1 hour and 24 minutes. Another option is a bus from Luton Airport Bus Station (line 757 – every 30 minutes) via Marylebone, Baker Street (every 60 minutes) and a 14 minute walk. This trip lasts about 2 hours and 16 minutes. A Luton to ibis London Stratford Transfer by car can be done by taking the M25 motorway. Luton Airport is at a 49.7 miles distance from ibis London Stratford. This journey will take about 58 minutes, without including traffic. A Luton to ibis London Stratford Transfer with 247 Luton Airport Transfer is going to take about 1 hour and 26 minutes, including rush hour traffic. The price for a Luton to ibis London Stratford Transfer starts from 60 GBP.